Our Saturday praise and worship services are led by Tim and Ruth Parkinson and their twin sons, Richard and Michael. 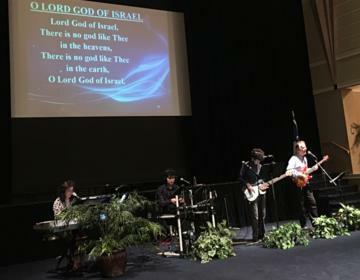 The Parkinsons' main focus during worship is to lead us out of the natural and into the supernatural as we worship God. We believe you will experience the presence of God every time they minister in music.